Istanbul’s Beşiktaş mayor Murat Hazinedar, opposition Republican People’s Party’s (CHP) district mayor is dismissed from his duties on Jan. 4 by the Turkish Interior Ministry as part of an investigation. Besiktaş is one of the most popular districts and neighborhoods of Istanbul, located on the European side of the city, and considered as one of the business centers of the city. In the statement for dismissials of the interior ministry Hazinedar is accused of being of a member of Fethullahist Terror Organisation (FETO). Since the failed coup in July 2016, government interestingly accuses even the secular opposition of being members of FETO, the name given by the government to followers of Turkish cleric Fethullah Gulen, who the government blames for the coup attempt. 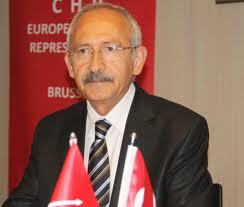 CHP spokesperson Bülent Tezcan said, “This is a plot on the part of the government. He has been dismissed unjustly. There is no fairness. There is no justice. This is a usurpation of the national will”. Denying the accusations, CHP leader Kılıçdaroğlu said that the dismissals aim to change agenda so that no one will speak about the high cost of living. “The issue had been appealed to the Council of State. They ruled that there had not been any misconduct in the tender. But you dismiss the mayor anyway” Kılıçdaroğlu added. Last month, the mayor of Istanbul’s Ataşehir district (another major CHP-run municipality) was also dismissed by the interior ministry over corruption allegations. Furthermore, according to the current allegations, the ministry has send inspectors to carry out inspections at six other CHP-run municipalities too. Since the failed coup in July 2016, the Interior Ministry has dismissed the mayors of 10 provincial centers and over 100 districts in the southeast of Turkey, including the region’s biggest city, Diyarbakir, replacing them with custodians of its own choice. Three months ago, the mayors of six major urban centers, including Ankara and Istanbul, have resigned succumbing to pressure from Erdogan. Moreover, they did not bother to explain their electorate about why they had to go. When announcing their resignations, the mayors of Istanbul and Ankara simply said they will be following Erdogan’s instructions. In total, the provinces without their elected mayors are home to more than 30 million people in Turkey. It means that roughly 40% of Turkish citizens are no longer governed by the mayors they elected. Apparently recent purges represent one of the most serious attacks against Turkish democracy in last decades. No doubt local administrations are the main vein of democracy. Now, people argue that what’s the point of holding elections if the mayors dismissed by an order of the government. CHP leader Kemal Kilicdaroglu has urged early elections last week to stop “the further massacre of democracy,” but Erdogan has rejected the appeal. The forced resignation of AKP-run municipalities is explained as a preparation for the local elections in 2019 (Presidential and parliamentary polls will be held in 2019 if not earlier). In fact, the operations at local administrations are a part of the changes that Erdogan has been making whole across the political scene, from the local level to the Parliament. Erdogan is allegedly planning to have “substitute parliament members” so he can easily do away with disobedient lawmakers. According to a former AKP law maker; Erdogan wants to redesign the judiciary, the legislature and the executive on the basis of absolute obedience.